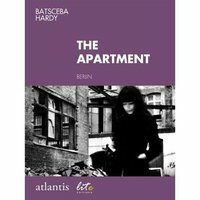 Batsceba Hardy, artist of the Irreality, lives and will only live ‘in’ the net, where she leaves already evidence with her constant performance: writing stories in images and telling visions in words. What remains is superfluous, in Wittgenstein terms, including her secret background. Currently she resides in Berlin, whose skies she’s chasing among the clouds; but she could be anywhere. She likes leaving traces of her passage in the places where she finds inspiration. She likes detecting herself inside the windows of houses. She likes revealing herself at night, before nobody.